A liter bottle of Grüner Veltliner that's classic with aromas of fresh green herbs, lemongrass and white pepper. Are you having sautéed rainbow trout with fried garlic for dinner? Are you serving it with wilted spinach and crispy potatoes? Look no further for a spot-on food pairing! While the grape ages quite gracefully - and much longer than many consumers realize - this Grüner Veltliner is made to be consumed now and exhibits all of the classic notes you'd expect from young, fresh versions of the wine. The winery is situated in Kamptal, northeast of Vienna near the river Kamp, and is one of Austria's most successful winegrowing regions. The Waldschütz family allows herbs and flowers to grow among their vines to promote natural habitats for bees and ladybugs...and happy vines that make distinctive and flavorful wines. 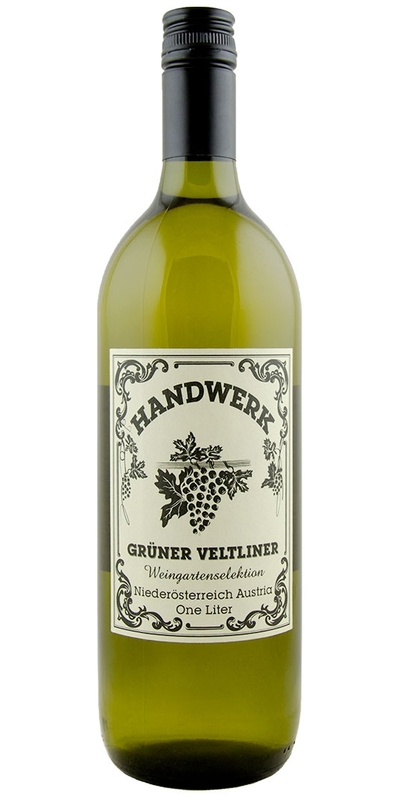 Notify me when Grüner Veltliner "Handwerk", Reinhard Waldschutz - 2017 is back in stock.